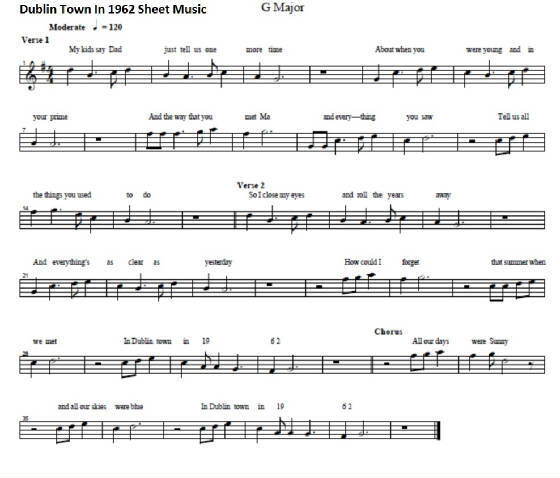 Dublin Town In 1962 Song Lyrics And Guitar Chords by Dermot O'Brien, Irish folk. The Metropole was a hotel in O'Connell Street where Eason's book shop is now. There used to be dances in Clery's Shop many years before my time. The Hill Of Howth is an area about 9 miles from the centre of Dublin and was very popular as a day out on a Sunday afternoon before shopping centres came to Ireland. The Pillar is a reference to Nelson's Pillar which was on O'Connell Street before it was blown up in 1966. And[E] tell us of the things you used to[A] do. In[D] Dublin town in [E]196[A]2. Danced in Cleary's and the Metrapole till two. 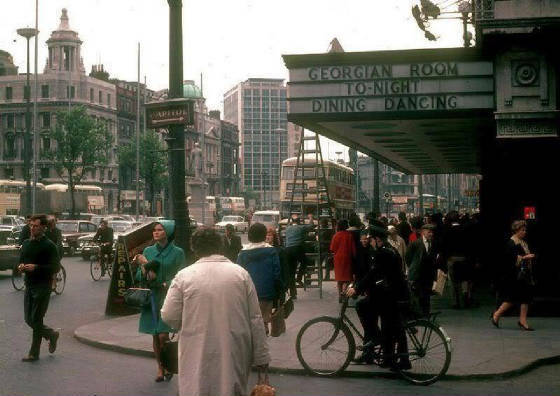 It was Dublin town in 1962. And tell us of the things you used to do. The youtube video is of Dwain Casey who plays all the music in this video himself. Here are the letter notes in case you don't read sheet music. 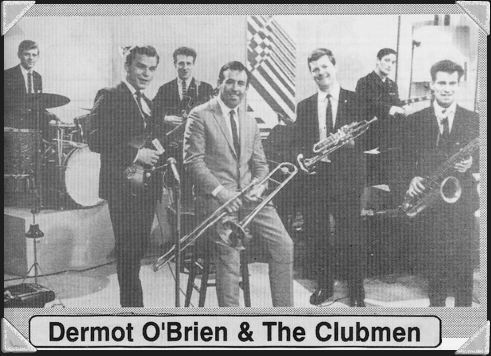 Note in the last line ''In Dublin Town In Nineteen Sixty Two I changed from the sheet to the way I hear it, there's only a couple of notes that I changed. This was composed by Stephen from a request by Joseph in Dublin. Tell us of the things you used to do.